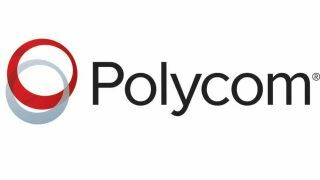 A global survey of “anywhere working” trends, conducted by Morar Consulting and commissioned by Polycom, has found that productivity and teamwork are both significantly improved when employees can choose where they work. The survey sought to identify the main benefits and challenges for employers and employees when it comes to adopting a flexible working culture. While results vary by country, there are three key trends that remain constant across the board. The vast majority of respondents (98 percent) agreed that an “anywhere working” approach boosts productivity, as people can choose to work where they are most efficient. Ninety-two percent of respondents also agreed that video collaboration technology improves teamwork. Meeting via video can help maintain the elements of human interaction element that can sometimes be lacking when working remotely. The survey also reveals that 62 percent of the surveyed population is working flexibly. Digital transformation is partly responsible, as it drives organizations to explore new ways of working at a faster pace. Firms are racing to innovate, develop a better working culture, and retain the best talent to remain competitive. “There is a stigma that remote workers are disconnected from the rest of the team, yet this study proves that they are more sociable and proactively reach out to develop strong relationships. The new technology tools that enable communication and collaboration are actually motivating workers to pick up the phone, seek face time and create lasting bonds. This is the upside of remote work we rarely talk about,” Jeanne Meister, partner, Future Workplace. The study also found that sixty-six percent of millennials surveyed are worried that they aren’t perceived as hard-working when they are not in the office. This is a big concern globally, shared by 62 percent of all respondents. For organizations to keep up with the fast-pace of digital transformation, there needs to be a shift in attitude, and a new approach to how people work and collaborate. By measuring performance based on outputs, and not hours worked, employees are reassured that management knows presenteeism does not equate to good work ethic. Underlying this shift in work culture is technology. The right collaboration technology needs to be in place to enable teams to collaborate, and employees to have the same access to resources as if they were in the office. The survey was commissioned by Polycom and was conducted by Morar Consulting. Sample data was collected from 25,234 consumers of 12 countries, which included: United States, Canada, Brazil, Japan, United Kingdom, India, Singapore, Germany, Russia, France, Australia and China. Fifty-five percent of those surveyed had job titles equivalent to “manager” or above. Fifty-eight percent of those surveyed are responsible for care in some capacity, and 68 percent surveyed are parents.